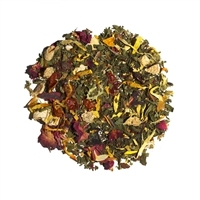 This herbal and fruit blend is fabulous for those who want to experience a refreshing healthy new style drink without caffeine. 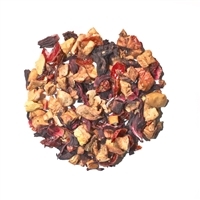 This tea has a very exotic flavor profile and is a delicious blend of lemon and strawberry flavors combined with the natural flavors and tartness of the various dried fruits to create a summertime cooler or a wintertime summer reminder. A pinch of sugar boosts the flavor profile. 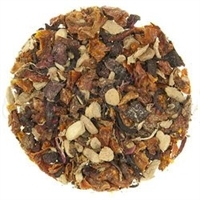 Makes terrific herbal tea – hot or iced! 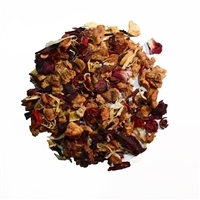 Luxury ingredients: Apple & Rosehip & Orange pieces, Hibiscus & Calendula petals, and Natural flavors.